Back in 2013 and 2014 I spent a lot of time searching for gardening podcasts. During that time there weren’t too many general gardening podcasts around but there were several permaculture shows that I listened to. One day I came across one called the Tenth Acre Farm Podcast and listened intently to what the podcaster had to say. 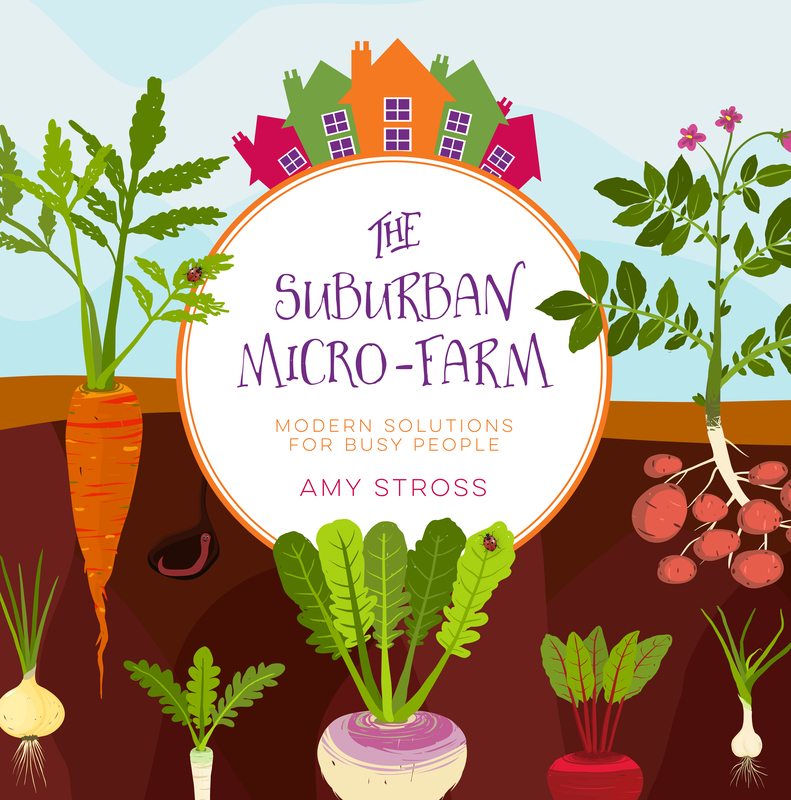 I soon clicked over and found that Amy and Vince had a blog as well, the Tenth Acre Farm site which detailed their suburban lot trasformation into an edible landscape via permaculture principles. I’ve kept base with their blog over the years and because I was intrigued by how they turned the property into a microfarm in the suburbs, I knew that the topic would be of interest to many listeners who don’t have a lot of land but want the reward of growing their own food. Even if you aren’t in a suburban lot but are interested in permaculture, this episode will let you dip your toes into what permaculture is and how you can use it to work with the landscape you are currently living at. Amy has also recently published a book, The Suburban Micro-Farm: Modern Solutions for Busy People which she discusses utilizing permaculture principles to assist you in creating your own micro-farm. Amy suggested several things that I’m going to have to incorporate into my own garden, and I will be watching as she transforms a new property, 3-acres!, into a permaculture landscape over the coming years. +Amy’s Media Kit for the book—with a preview of the book inside!